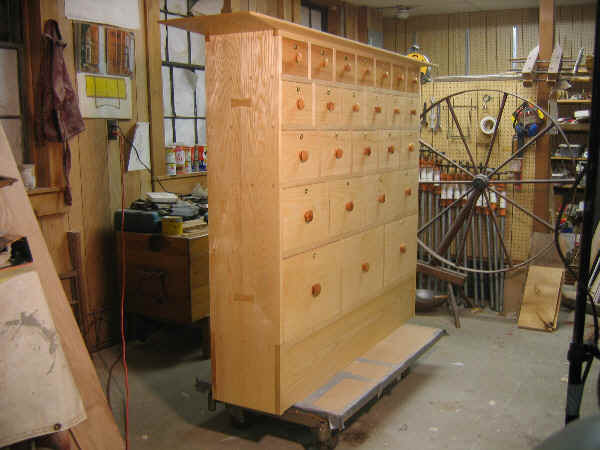 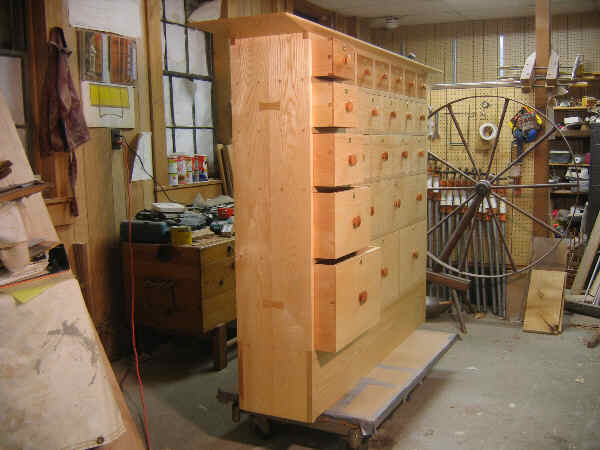 This is a 25 drawer apothecary chest of solid ash casework and locking drawers. 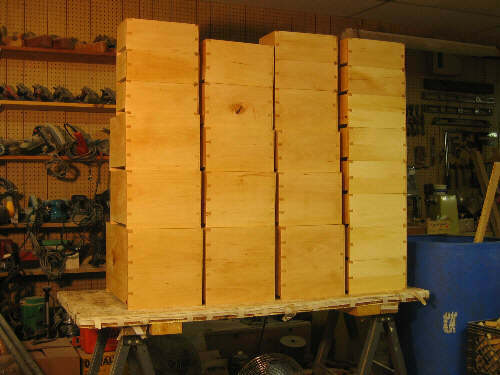 Interior woods are basswood. 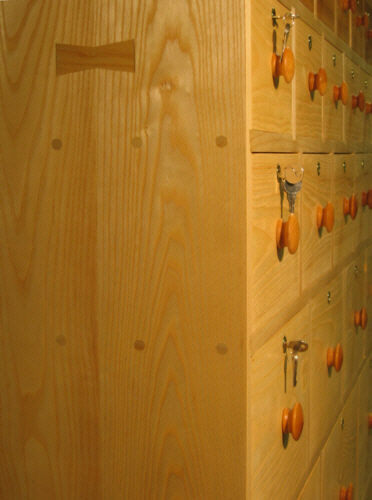 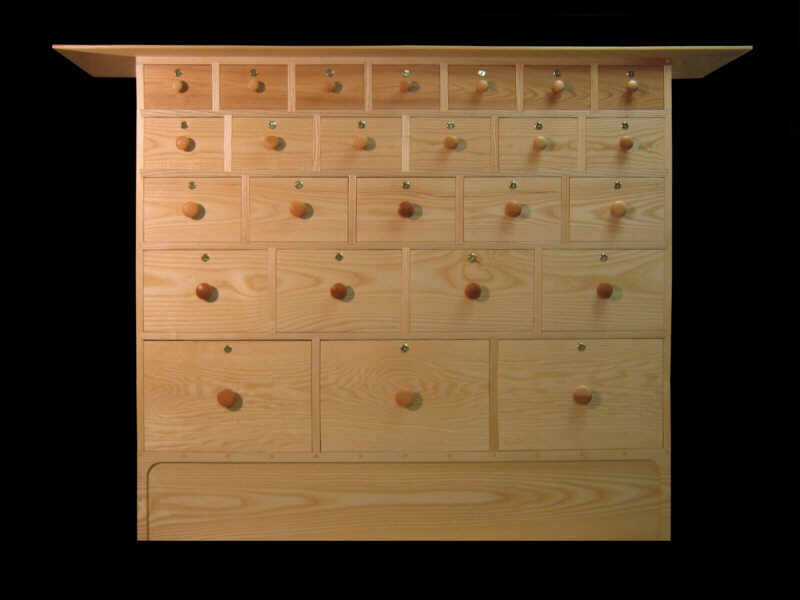 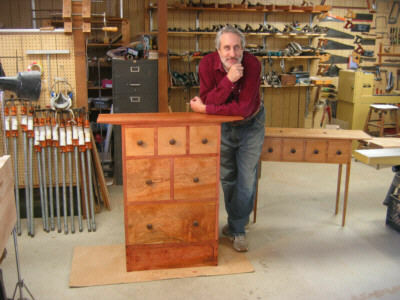 All drawers have aromatic red cedar bottoms.